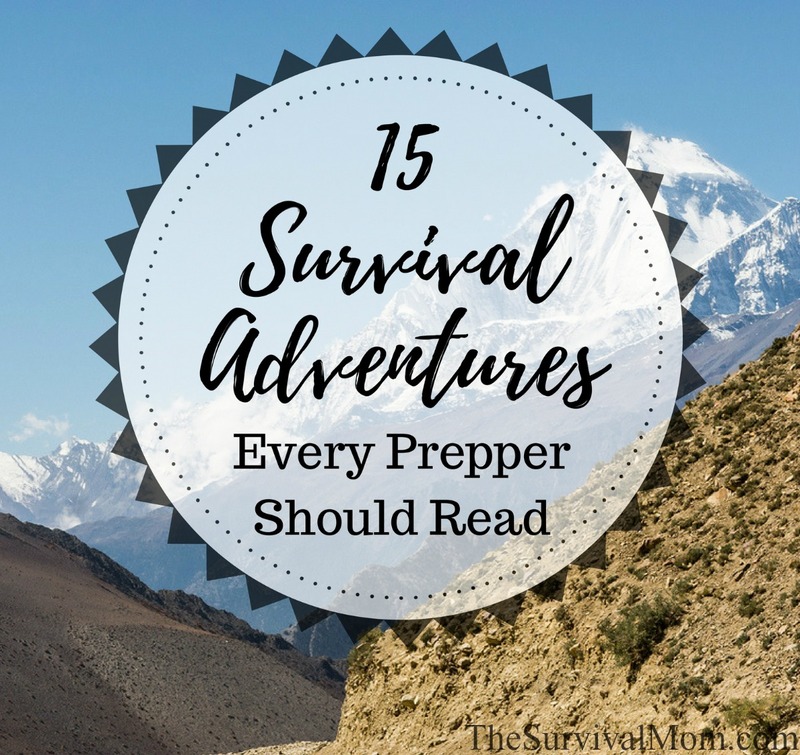 If you’ve been a prepper for very long, no doubt your bookshelf is full of non-fiction survival manuals and recent prepper fiction. All that is well and good, and I do hope my own family survival manual and evacuation book is among your collection, but there are many important lessons to be found in an entirely different genre: non-fiction survival adventures. These books tell real-life survival narratives that are rich in detail. They grab your attention and hold it while teaching lessons about nature, historical events, and, yes, survival. Some of my favorites are listed below, all linked to their Amazon pages where you can read summaries and reviews. Do you have any similar books to add? THANKS – I’ve read some of the “biggie” end of the world novels, but I really appreciate truth and I will be working on acquiring these – I really appreciate the list. I just bought one today…Last girl, Last Boy on Earth. Its about the rising water level due to climate change. The town is moving higher and inland to escape. These two are left behind. can you give me information for oven canning dry beans, rice and pasta in jars. Is it as safe as using the vaccum sealer??? I’m not a fan of this, Doris, and I’ll tell you why. Simply putting food in jars and then in a low-heat oven for a while does nothing to remove the oxygen in the jars. Technically, if you add the right size oxygen absorber, there’s no reason to use the oven. The vacuum sealer removes oxygen and as long as you continue to store to food in a dark and cool location, it will have a very long shelf life. The vacuum sealer removes air, which contains 21% oxygen. You can use an oxygen absorber an vacuum sealer for best results. Best wishes for a speed recovery from the hip surgery! As for books, I’d suggest ‘One Second After’. It tells a story around the US after an EMP attack. Very eye opening. I would add “Under a Flaming Sky,” also by Daniel James Brown. It is the story of the great Hinkley, MN fire of 1894. There are some very practical applications for preppers! Howdy Lisa thanks for the recomendation and yes, I have a suggestion of a book: Survive the Savage Sea by Dougal Robertson.It´s a story of a yatch that is rammed and sunk by killer whales. Thanks for the outstanding list. Best of all, Nearly all are on Audible for all the time I spend driving. The original survival novel; Robinson Crusoe by Daniel Defoe. An excellent story and very well written. These look pretty interesting. Do you have a list that would suitable for younger audiences? Say preteens and teens? I would like to read aloud to the kids and discuss them. Check out the series by A. American. It realistically covers the impact of an EMP on a man, his family, neighbors and the U.S.
Also the 2-book series entitled One Minute After and One Year After. This series also covers the effects of an EMP on a small mountain town and has been reviewed as one of the most realistic survival books. For a larger series covering the after-effects of, and surviving a nuclear war, the Life After War series by Angela White is an option. This is a graphic depiction and it has some supernatural elements. This series is also better for adults rather than teens. I’ve read One Second After a couple of times. It is a good read and show what could happen if an EMP hits. EMP-Electro Magnetic Pulse. It shows some good things to do and not to do. I’ve read the first 5. The event that occurs is an EMP. It is set in Florida. The main character is several hundred miles from home and the first book is him getting home. The author goes into detail about the actual gear he uses to survive. It is pretty violent when they have to kill to survive also. I am a little disappointed by how some of the women are portrayed… His wife seems to think they’ve got plenty of food and supplies put away and they have no worries. But she soon finds out there is plenty to worry about. Several other women are just b!tch3s, but they get what they deserve. There are some great characters and a lot of knowledge shared within a good story. I just read “Once Upon An Apocalypse” by Jeff Motes. Its a 3 book series and actually has a Christian basis with out being sugar coated. Do I click on the Books Reviewed to see the 15 books which the header suggests? 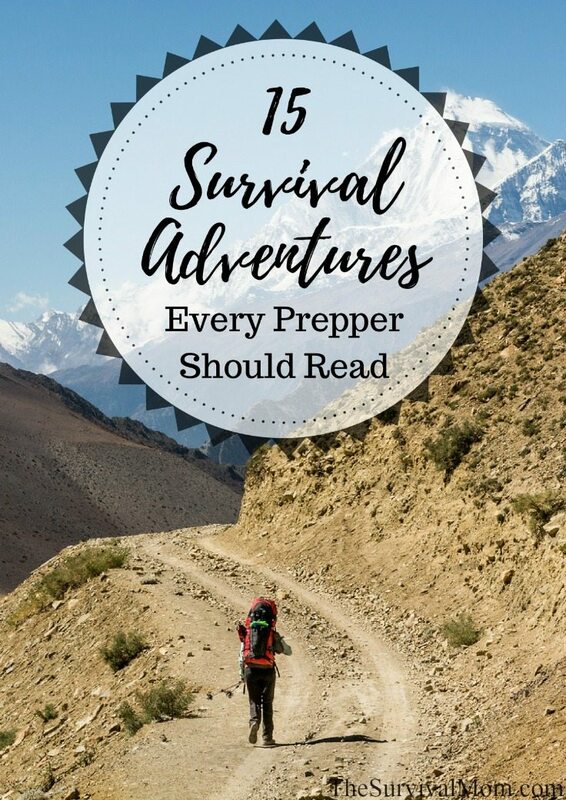 The ’15 Survival Adventures Every Prepper Should Read’ is the only thing I see when I click it and also the link you provided in the email. Click on each book cover! That will take you directly to the Amazon page where you can read more reviews and, if you like, order the book. Just click on the book cover and it will take you to the Amazon page where you can read other reviews, a synopsis, and order, if you like. One Second After is the most realistic and eye opening books about an EMP event. Alas Babylon is another classic. Patriots rounds out my top three. Thanks for the tips on the others – seems I’ve got more to read! I’ll have to check these out. I’m going to suggest the Badlands series by Brian J Jarrett and the Mountain Man series by Keith C Blackmore. Great zombie apocalypse reads. The One Second After trilogy is awesome and I also love the 77 Days in September series. Ashfall. Aftermath of a massive volcanic eruption.